Posted on June 17, 2015 by Anna C.
Despite the fact that it’s been approved for males for years, Gardasil is still largely seen as a vaccine for girls, and human papillomavirus (HPV) is still thought of by many as a virus that only impacts the female population. The fact of the matter is that HPV can have serious consequence for boys and men, and Gardasil is an important tool in protecting their sexual health. Why, then, does the association between girls and Gardasil persist? Let’s stop thinking of Gardasil as the cervical cancer vaccine. Gardasil is a cancer vaccine, period. Before Gardasil’s introduction, the pharmaceutical company Merck launched an HPV-awareness campaign to get a buzz going for their upcoming vaccine. Their talking points could be boiled down to one simple fact: HPV causes cervical cancer. 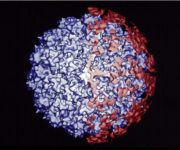 Outside of the medical field, HPV was a little-known virus, and Merck strove to connect HPV and cervical cancer in the public’s mind so that, after it hit the market, Gardasil’s value would be easily recognized. So the origins of the association between girls and Gardasil lie in its marketing — and the fact that the Food and Drug Administration (FDA) initially only approved its use in females. From its introduction in 2006 until 2009, Gardasil was only FDA-approved for use in girls and women, and its routine use in males was not recommended by the Advisory Committee on Immunization Practices until December 2011.